It's time for back-to-school. Since, I've graduated traditional schooling. I opted for back-to-the-kitchen schooling, aka cooking classes! 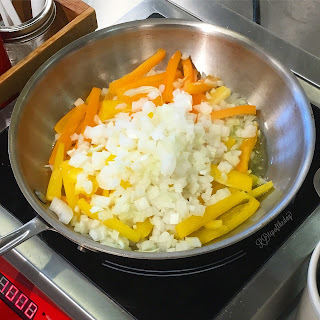 Have you ever wanted to take a cooking class? I love it! 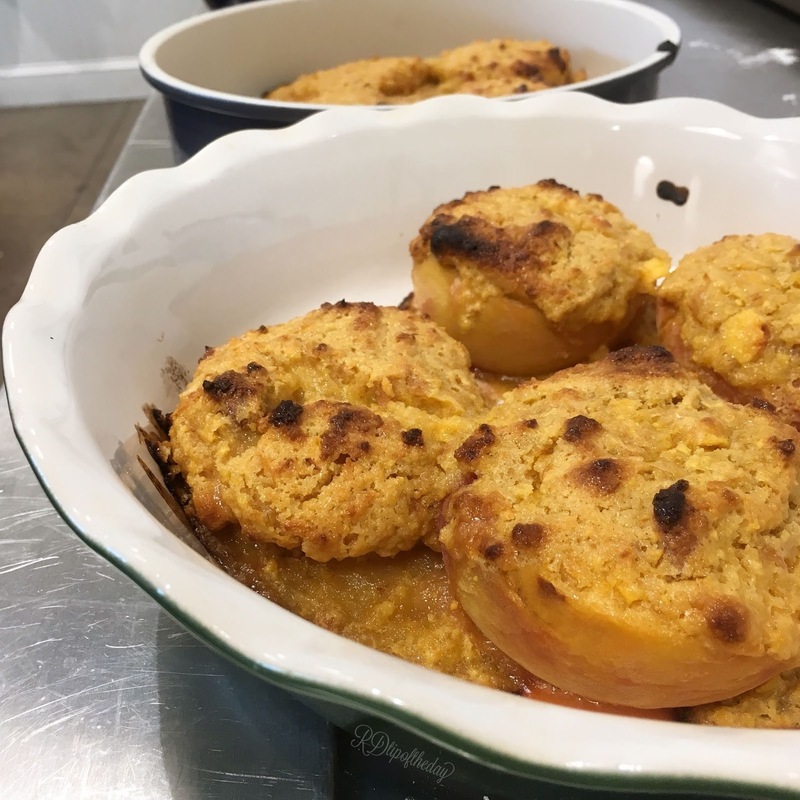 Cooking classes are a fantastic way to learn new skills, try new recipes, and have fun! My motto is always keep learning! 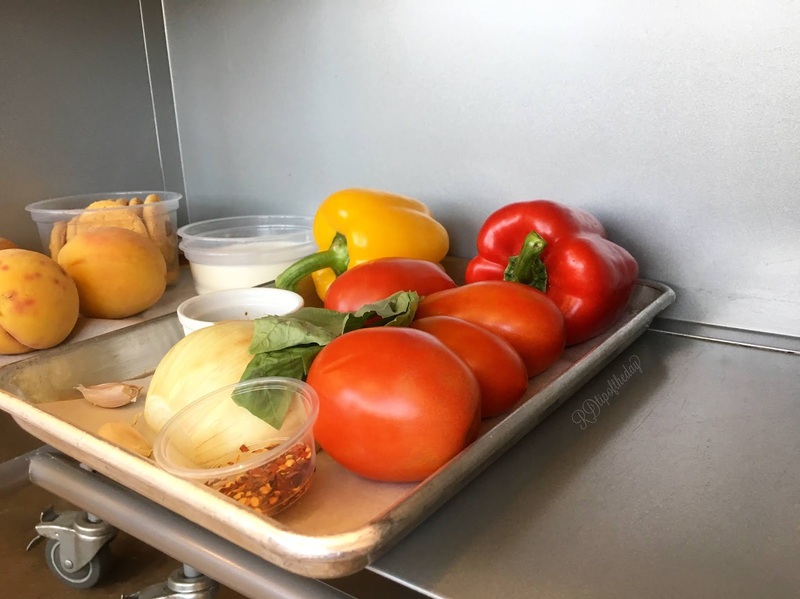 The most recent cooking class that I took focused on Mediterranean food, specifically Italian flavor profiles. This menu was fun and super tasty. It would be a fantastic meal to make for company. You know those company meals that are just a little elevated from everyday weeknight meals. But, it's not too fancy, fussy, or stressful for company. Here's the menu: homemade spinach and ricotta gnudi, steak and peppers, and peaches with cookies and cream. So delicious! We made the gnudi first because the dough will need to rest. Gnudi is a ricotta-based dumpling. It's similar to gnocchi, which is a potato-based dumpling. You can think of gnudi as gnocchi's less-fussy sister. 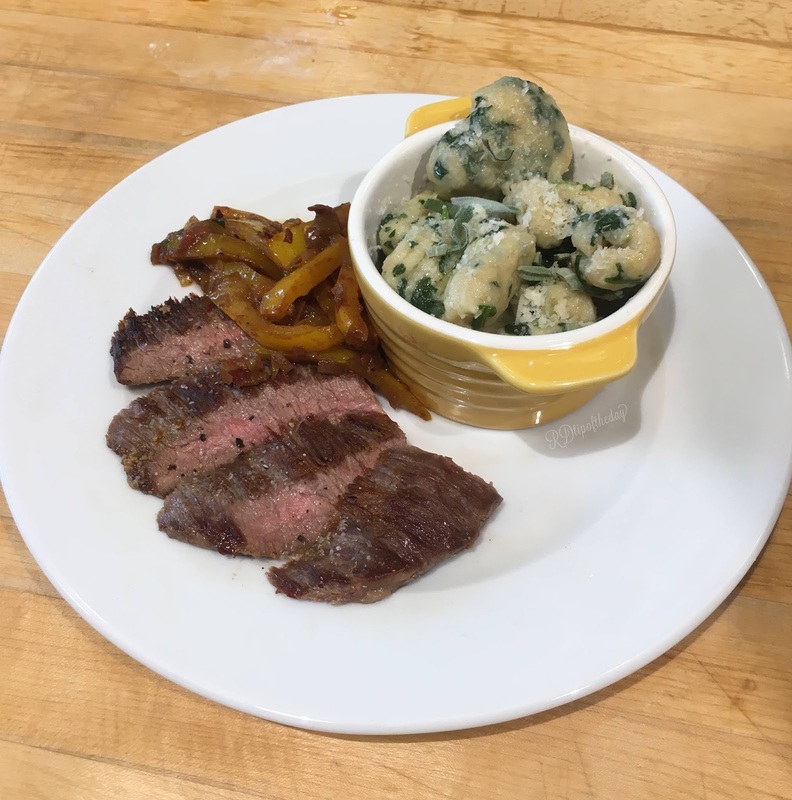 To make gnocchi, you need to cook and cool potatoes. 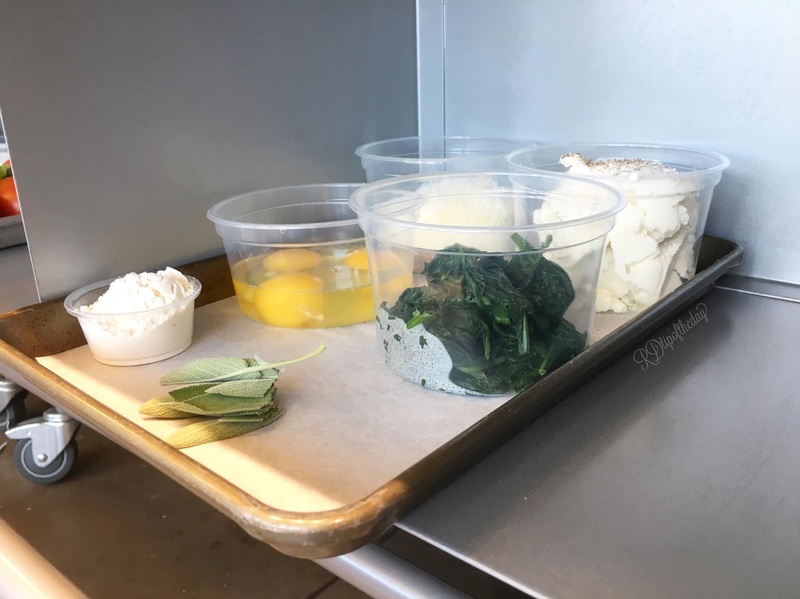 With gnudi, you mix the ingredients together. No extra cooking or cooling time needed. So it's quicker and easier! We mixed together all the ingredients. Then, we added flour as needed and kneaded the dough. Add flour until the dough isn't sticky. The recipe called for the dough to be chilled for 24 hours, so this would be a great recipe to make on weekend to meal prep. Then, use during the week. During class, we chilled the dough for about 1 hour in the freezer. It worked great! This was super tasty. 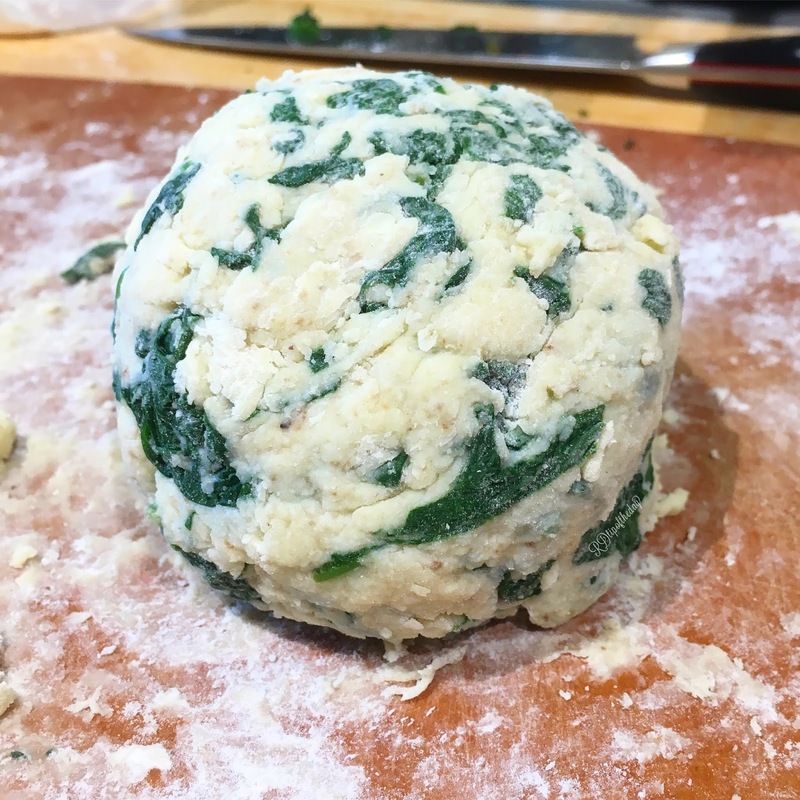 The gnudi are pillow-y, cheesy dumplings that are fantastic vehicle to enjoy spinach. 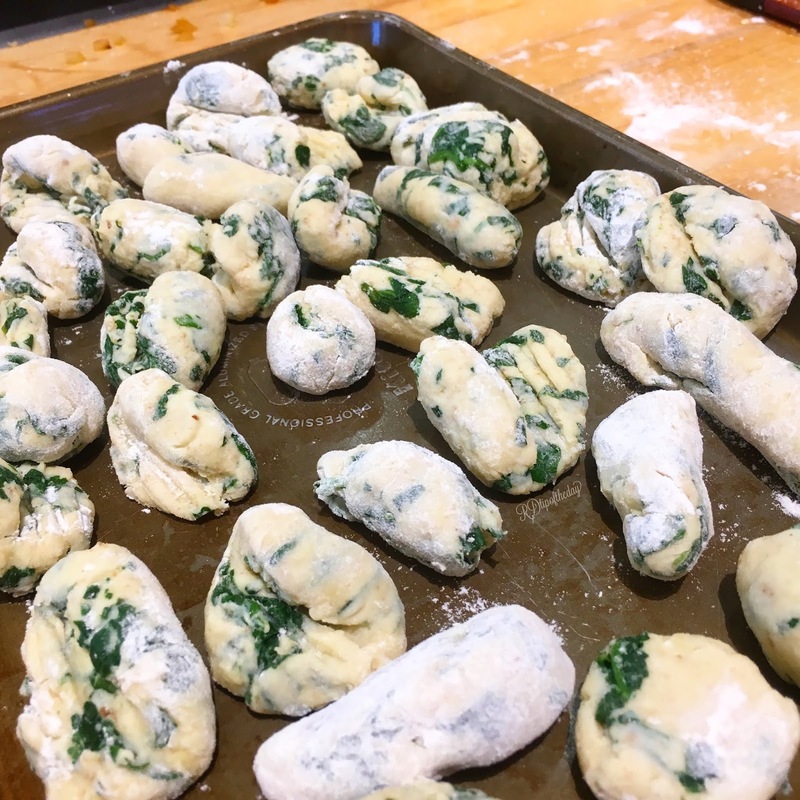 The gnudi were coated with sage-infused butter. Yes, please! Next, we made dessert! 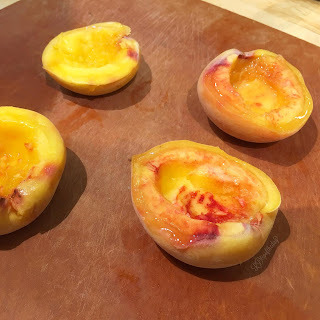 We cut the peaches and removed the pit. Leaving half as an edible bowl, a vehicle for the delicious filling. I recommend using slightly firm peaches for the "bowl." The filling was a combination of peaches, cookies and cream. 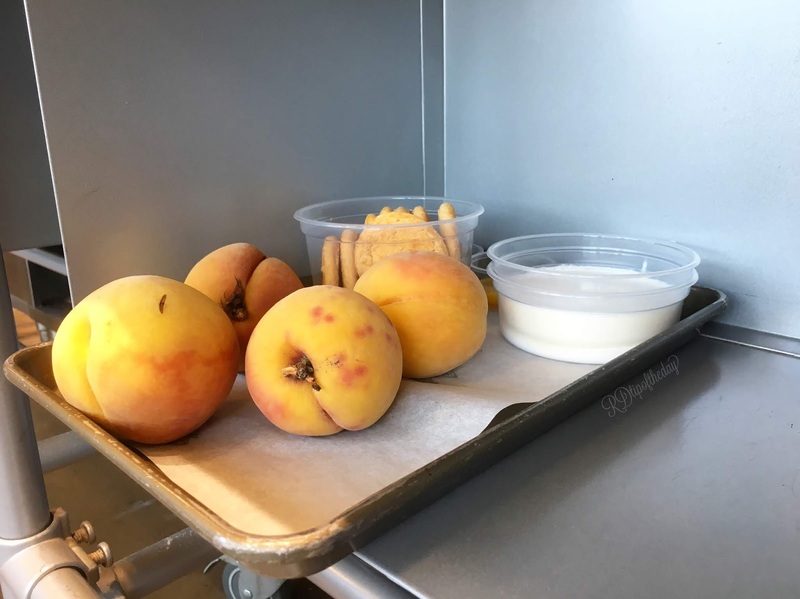 So, we made peaches and cookies and cream! Such a delicious combination! Peaches and cream were made for each other. And cookies and cream is a classic, childhood favorite of mine. In the future, I would work on the presentation. It was a delicious tasting, but a bit brown. Next time, I think I'll save some peach slices and add fresh mint to garnish. The whipped cream in the top picture did add a little something to the presentation. Lastly, we made hanger steak with peppers and onions. The entrée was perfectly balanced and seasoned well. The steak was savory and meaty. The peppers added beautiful color and crunch. And, the sautéed onions added a hint of caramelized sweetness. A trifecta for the entrée. Have you ever taken any cooking classes? Is there anything you want to learn to cook. I'd love to hear your thoughts. Feel free to comment below.